What book(s) would you recommend to read to learn more about prophetic ministry? Share your recommendations here on a previous blog posting and read what others had to say on this very topic. "I share similar sentiments to those of your previous contributors. I have read dozens of books over many years, about prophetic ministry, many from household names and those at the forefront of prophetic ministry (some of whom I've rubbed shoulders with). Yet to date, none have taken me any place near the understanding I’ve gained through time spent with the Lord—in intimacy with Him. 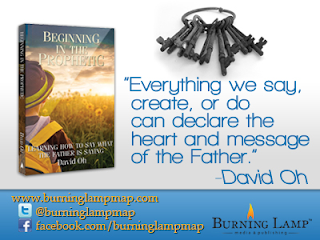 Interestingly, there are a handful of books beyond the Word, that have grown my understanding of the prophetic, but they were not about prophetic ministry. Rather, they were, collectively, about living the Crucified Life and a life of intimacy with the Lord. Three such books stand-out as Kingdom jewels: The first is titled, The Imitation of Christ, by Thomas a Kempis. This one must be chewed slowly, and savored, like a rib eye steak. The second is titled, The Autobiography of Madame Jean Guyon. I have read Experiencing The Depths of Jesus Christ, by Madame Guyon, which is great, but it doesn’t hold a candle to her autobiography—which happens to drip so heavily with anointing that you could smother your pancakes with the syrup. 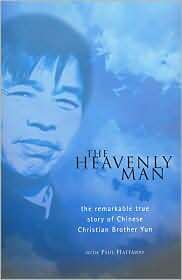 The third is titled The Heavenly Man, by Brother Yun. If you're not laying prostrate on the floor after reading this one, you have a few critters on-board." And stay tuned for my recommended list in the near future.